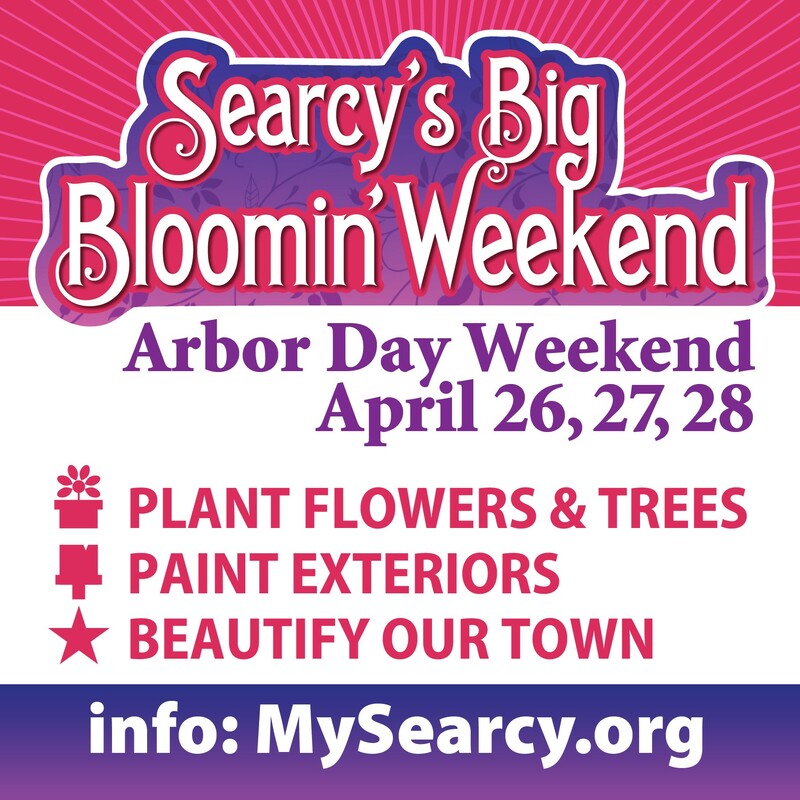 SEARCY’S BIG BLOOMIN’ WEEKEND IS A THREE DAY COMMUNITY-WIDE BEAUTIFICATION EFFORT WHEN THE ENTIRE SEARCY COMMUNITY IS ENCOURAGED TO PLANT OR INSTALL FLOWERS EITHER IN-GROUND OR IN PLANTERS. Every home, business and institution is welcome to participate. MySearcy.org will post locations to purchase plants, flowers, tools and materials to beautify your “spot" in Searcy. Together, we can make a beautiful impact in just one weekend. Think about how you can involve your business, family, neighborhood, church, sports team, club, school or civic group to be a part of this exciting opportunity. 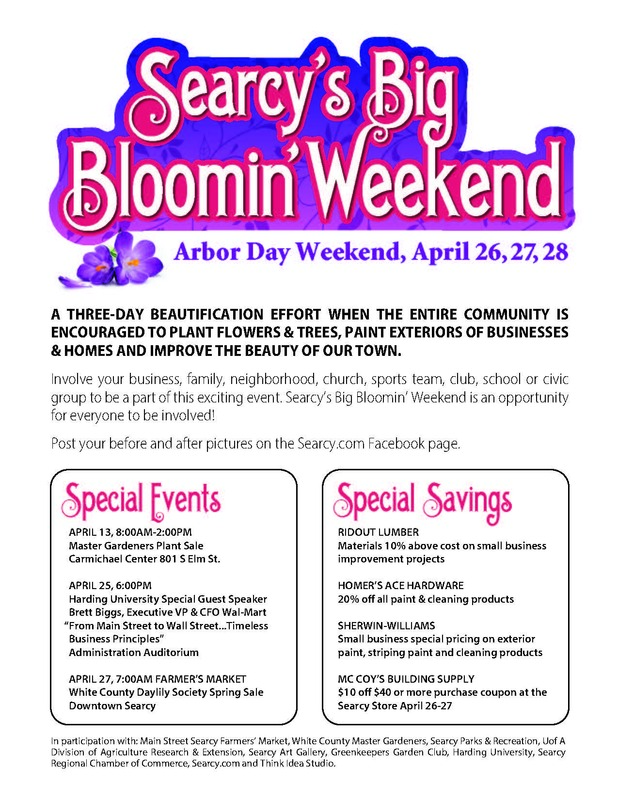 Searcy’s BIG Bloomin’ Weekend is an all-inclusive effort. Everyone is encouraged to participate. Find information, activities and events on MySearcy.org and tell us how you plan to be involved and submit before and after pictures on the Searcy.com Facebook page! In participation with: Main Street Searcy Farmers’ Market, White County Master Gardeners, Searcy Parks & Recreation, U of A Division of Agriculture Research & Extension, Searcy Art Gallery, Greenkeepers Garden Club, Harding University, Searcy.com and Think Idea Studio. All weekend long all over Searcy!